RALEIGH, N.C. – A North Carolina man accused of conspiring to commit terrorist acts abroad grew so frustrated at his inability to carry out his plans that he vented about committing attacks in America, an FBI agent testified Tuesday. Agent Michael Sutton testified during a detention hearing for Daniel Patrick Boyd, Boyd's sons Zakariya and Dylan, and co-defendants Hysen Sherifi, Ziyad Yaghi, Anes Subasic and Mohammad Omar Aly Hassan. The men were arrested last week and charged in a conspiracy to commit terrorist acts abroad. If convicted, each could be sentenced to life in prison. On Wednesday, U.S. Magistrate Judge William Webb ordered six of the defendants held without bond pending their trial. A decision on the seventh defendant is pending. According to the indictment, Boyd and his son Zakariya, along with Yaghi and Hassan, traveled to Israel in June 2007. The men wanted to die as shahid "that is, as martyrs in furtherance of violent jihad," the indictment alleges. But they came back about a month later, unsuccessful in their attempt to carry out jihad. A year earlier, the indictment alleges, Boyd tried to get into Gaza "in order to introduce his son to individuals who also believed that violent jihad was a personal obligation on the part of every good Muslim." During his testimony, Sutton cited comments Boyd made that were recorded by the government or reported by witnesses. "If I don't leave this country soon," Sutton quoted Boyd saying in one, "I am going to make jihad right here in America." In another conversation outside a convenience store, Boyd noticed a group of Humvees. "We should take them out right now," Boyd said. He made a similar comment about a North Carolina state helicopter he saw flying over head, Sutton said a witness told him. The indictment makes no allegations about any domestic terrorist plot by the defendants. They did buy large amounts of rifles and ammunition and conducted training on private property in Caswell County, N.C. this past June and July. They also found a fatwa, or religious edict, in Boyd's house saying Muslims have "an individual duty to kill Americans and their allies." Boyd often made references to jihad, in one recording saying "Allah knows I love jihad." a Long Island man who joined al Qaeda and allegedly gave the group information about Long Island trains and New York City's subways. a group of men who converted to Islam in prison and plotted to blow up two Bronx synagogues and a National Guard plane in upstate New York. Abdulhakim Mujahid Muhammad, who stands accused of shooting and killing an Army recruiter and wounding a second in his desire to exact revenge on the U.S. military for "what they had done to Muslims." Sutton's testimony, meant to show Judge Webb that the defendants are both a threat to the community and a flight risk if released on bond, offered a glimpse into the government's case. A packed courtroom heard about financial ties between the defendants, their efforts to raise money for jihad and their training with assault weapons, including the use of armor piercing bullets. Though his attorney denied it, Boyd reportedly made a move toward a gun in his waistband when arrested. In his home, agents found more than 27,000 rounds of ammunition and a trench that witnesses told investigators had been used to store weapons. In another recording, Boyd talked with a government witness about "hitting" banks and armored trucks, saying he had "hit" a bank in Pakistan. Boyd reportedly journeyed to Pakistan and Afghanistan in the late 1980s and joined the mujahideen fighting the invading Soviet army. There, he claims to have met Abdullah Azzam, one of the iconic figures for jihadis and a mentor to Osama bin Laden. In 1991, an Islamic court in Pakistan convicted Boyd of bank robbery and sentenced him to having his hand and foot amputated, but the verdict was later overturned. Defense attorneys tried to distance their clients from Boyd, noting when their clients were not on tapes with him or if they did not meet up with him abroad. However, the Boyds were not the only ones to travel abroad in what prosecutors say was part of the conspiracy to wage jihad. Yaghi went to Jordan. In July 2008, Sherifi went to Kosovo, and Jude Kenan Mohammad, who is at large, went to Pakistan. Mohammad was arrested by Pakistani officials near the Afghan border last October. A Raleigh police officer testified about the violent histories of defendants Hassan and Yaghi. Hassan was arrested for domestic violence, but his girlfriend recanted her story. Yaghi was arrested for assault after beating a man in a dispute over money. Boyd visited Yaghi in jail, asking whether police asked Yaghi about him. Yaghi told him the questions had nothing to do with his trip to the Middle East. Relatives and supporters of the defendants packed the courtroom, prompting officials to turn away as many as 100 people. The hearing also drew a representative of the Muslim American Society (MAS). Khalilah Sabra minimized the serious allegations in the case as "an illusion. Either the defendants have created an illusion, or the agents have created an illusion, but the reality has yet to be seen." For more coverage of Tuesday's hearing, click here. In 1981 in Nyack, New York another group of "homegrown terrorists", members of the Black Liberation Army and the Weather Underground decided to use the robbery of an armored car as a means to finance their terrorist agenda. In the process Police Officers Waverly Brown and Sgt. Edward OGrady along with Brinks Guard Peter Paige were gunned down. The defendants were arrested, convicted, and sentenced to long prison terms. Daniel Boyd's tape recorded comments about "hitting banks and armored cars" are a stark reminder of the methods used by terrorists to raise funds. Daniel Patrick Boyds comments about "hitting banks and armored cars" as a means of providing financial support for jihad is astounding. 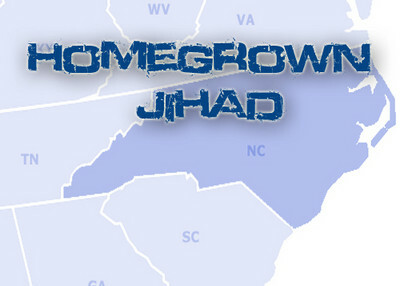 This coming on the heels of the story regarding M-13 gang members and drug dealers being utilized by Al Qaeda for logistical support in smuggling members into the United States demonstrates again the unholy alliance between criminal activity and terrorists that stretches beyond prison walls and national borders.